This time of year we begin to run our Tautog fishing charter. People from all around come to target Tautog. These fish are known for there hard fight and there outstanding taste. 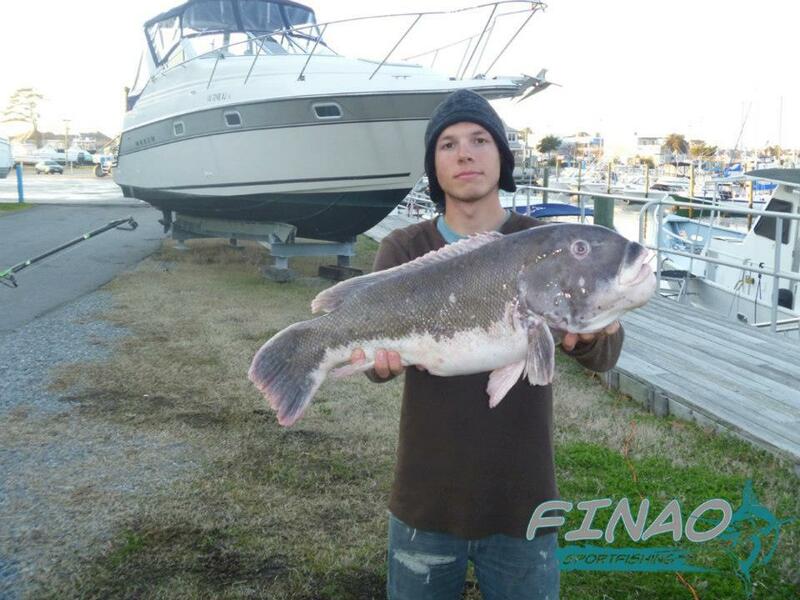 Tautog are abundant all over the Chesapeake Bay in the cooler months of the year. Our custom built 24 foot Cape Horn is the perfect boat for targeting Tautog. Booking your Tautog fishing charter with us will make sure you have a comfortable ride and fun catching these fish. When we target Tautog we fish along the Chesapeake Bay Bridge Tunnel. We fish the Pylons along the bridge. Another great spot to catch them is on the Islands. The Islands along the Bay Bridge Tunnel are made up of giant boulders. This makes it a great area for Tautog to hide out in. The bait that we use on our Tautog fishing charter is Crabs. Blue crabs and Fiddler crabs are the best baits to use this time of year for Tautog. When Tautog are on the Pylons and Islands crabs are constantly in the area making them a common food for them. Another reason why these fish are good to eat is because of there diet. Feeding off of mainly shell fish it makes there meat sweet like most shell fish. While catching these powerful fish it is important to have good gear. The gear we use on our Tautog fishing charter are Avet reels, Shimano rods, Power Pro line, and Owner hooks. Having the correct gear and fishing the proper areas is what makes our fishing charters successful. Our marina is located close to the Chesapeake Bay Bridge Tunnel making it a short run to the fishing grounds. Most of our Tautog fishing spots are just 10 minutes from our Marina! The next time you are looking for a hard fighting and good tasting fish to eat in the spring book a Tautog fishing charter with Finao Sportfishing!